Can anybody beat the Linköping Lion? 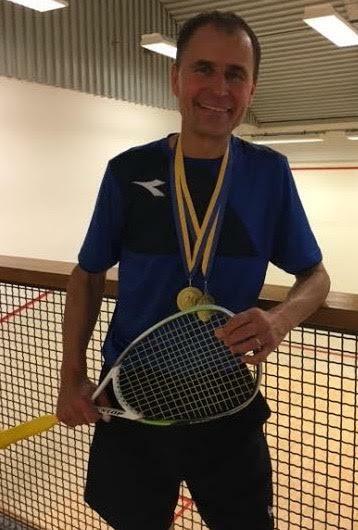 Fredrik Johnson made it 50 national titles after a double triumph in the over-40 and over-50 Swedish Masters finals at the weekend. The 52-year-old Swede reached a career-high position of 19 in the July 1990 rankings. During this phase of his career he won several Swedish national men’s titles, and he has continued this success through to the various Masters categories, beginning his his first over-35 title in 1999, when he also won the British Open over-35 title in Aberdeen. He won the first title (over-35s) in 1999. 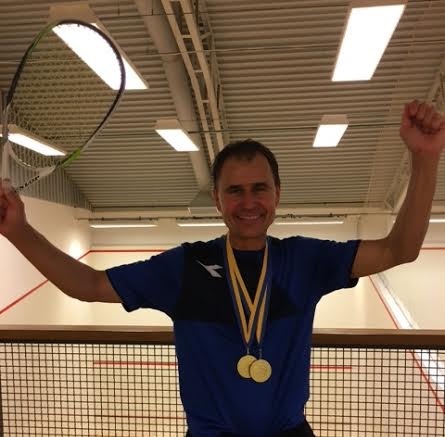 Swedish National Championships 2016, Landala Squash, Gothenburg. FOOTNOTE: If any readers know of any other players with similar records, feel free to comment below. Thank you.